Britain has been inhabited by humans for over half a million years, during which time there were a great many changes in lifestyles and in the surrounding landscape. This book, now in its second edition, examines the development of human societies in Britain from earliest times to the Roman conquest of AD 43, as revealed by archaeological evidence. Special attention is given to six themes which are traced through prehistory: subsistence, technology, ritual, trade, society, and population. 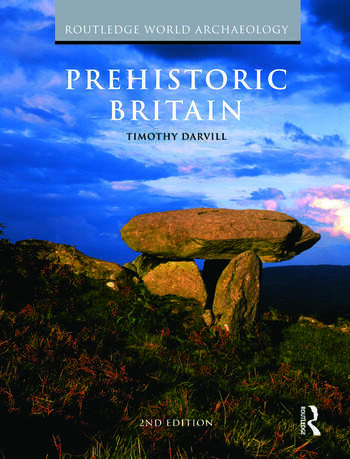 Prehistoric Britain begins by introducing the background to prehistoric studies in Britain, presenting it in terms of the development of interest in the subject and the changes wrought by new techniques such as radiocarbon dating, and new theories, such as the emphasis on social archaeology. The central sections trace the development of society from the hunter-gatherer groups of the last Ice Age, through the adoption of farming, the introduction of metalworking, and on to the rise of highly organized societies living on the fringes of the mighty Roman Empire in the 1st century AD. Throughout, emphasis is given to documenting and explaining changes within these prehistoric communities, and to exploring the regional variations found in Britain. In this way the wealth of evidence that can be seen in the countryside and in our museums is placed firmly in its proper context. It concludes with a review of the effects of prehistoric communities on life today. With over 120 illustrations, this is a unique review of Britain's ancient past as revealed by modern archaeology. The revisions and updates to Prehistoric Britain ensure that this will continue to be the most comprehensive and authoritative account of British prehistory for those students and interested readers studying the subject. Timothy Darvill is Professor of Archaeology in the School of Conservation Sciences at Bournemouth University. After completing a PhD at Southampton University on the Neolithic of Wales and the west of England, he worked for the Western Archaeological Trust and the Council for British Archaeology before establishing a private practice offering consultancy services in the field of archaeological resource management. He was appointed to the Chair of Archaeology in the newly-established archaeology department at Bournemouth University in October 1991, and since 2007 has been Director of the Centre for Archaeology, Anthropology and Heritage. The author of over a dozen books, including Ancient Monuments in the Countryside (English Heritage. 1987), Prehistoric Britain from the air (Cambridge University Press. 1996), the Concise Oxford Dictionary of Archaeology (Oxford University Press. 2002), and Stonehenge: the biography of a landscape (Tempus. 2006), he has served as Chairman of the Institute of Field Archaeologists and was a Member of the Council of the National Trust. He is currently chairman of the board of directors of Cotswold Archaeology and a Vice-President of the Society of Antiquaries of London. Current research interests focus on archaeological resource management and the Neolithic of northwest Europe.